Prenatal vitamins are essential for pregnant women because it’s difficult to get all the necessary nutrients during pregnancy. Most women can benefit from taking a prenatal vitamin and mineral supplement during pregnancy. It’s especially important for women with dietary restrictions, health issues, or pregnancy complications. The two main nutrients in a prenatal supplement are folic acid and iron. Most pregnant women cannot get these two nutrients from food alone. Folic acid is an essential B vitamin that can reduce your baby’s risk of neural tube defects and other defects such as cleft lip, cleft palate, and certain heart defects. It may even lower the mother’s risk of preeclampsia. The prenatal vitamin supplements market has been growing due to the rising health awareness among pregnant women. The global consumption value of prenatal vitamins supplements is expected to record a CAGR of 8.4% from 2017 to 2022. North America accounts for the highest consumption of these supplements. In recent years, the growing health awareness about proper diet among pregnant women is the main driver of the prenatal vitamin supplements market. For pregnant women in particular, a healthy diet is critical for proper development for both mother and baby. With nutrients such as folic acid, iron, calcium, and other vitamins and minerals, prenatal vitamins are utilized for the mental as well as the physical development from conception to adolescence. From private labeling to custom formula creation, the team at BioThrive Sciences work with your business to create a seamless vitamin manufacturing experience from beginning to end. What sets us apart from other private label manufacturers is our unique start to finish services. 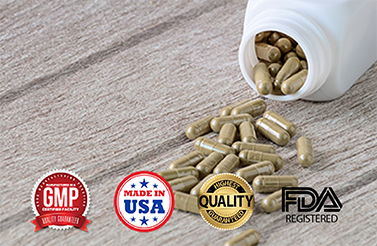 We provide private label vitamin manufacturing, design, printing and packing services, as well as domestic and international shipping. We are committed to having the best and most ethical practices in the industry and we have the Good Manufacturing Practice Certification. This ensures that our company minimizes risks and has products produced according to strict quality standards. If you’re ready to learn more about our start-to-finish private label manufacturing services, contact our team today by calling us at 844-263-3657, or fill out our online contact form and we will reach out to you shortly.